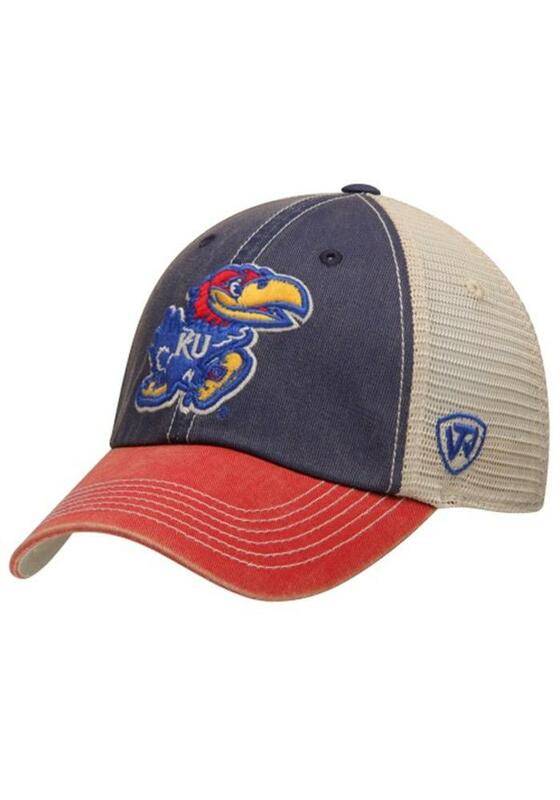 This Kansas Jayhawks Blue Adjustable Hat features a 3 tone design with 3D cotton logo on the front and free flying back label. The adjustable hat completes the perfect outfit on gameday. Rock Chalk Jayhawk! Old guys like me love the reminder of the past logo, young kids ask where they can get one . Comfortable hat and very versatile! From game day to everyday I love this hat. Highly recommend! This is such a cool hat. Fit is great and looks awesome. Get a lot of compliments when i wear this out and about ! Its adjustable too so it can most likely fit any size head. Great Pittsburgh hat !